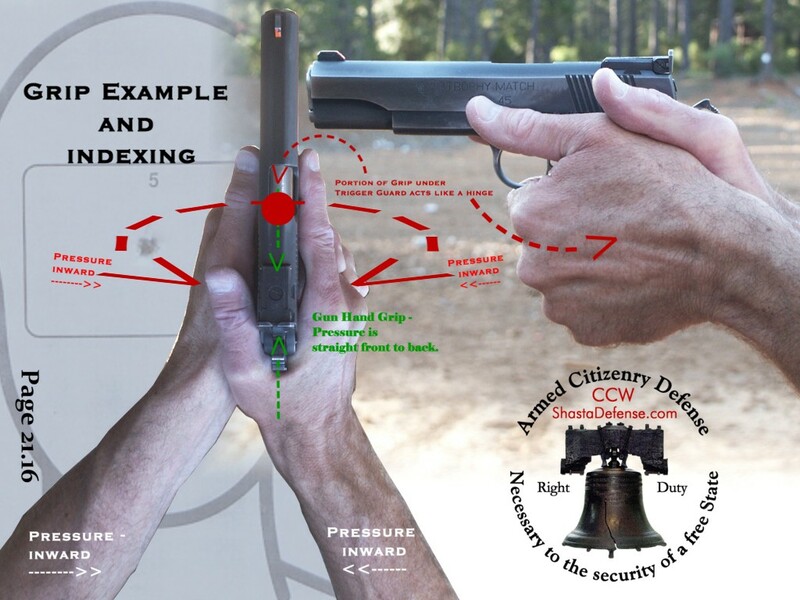 Do you know how to handle a firearm safely - Part III? In prior articles we covered the three Fundamental Rules of Firearm Safety (i.e., Always keep the gun pointed in a safe direction; Always keep your finger off the trigger until ready to shoot; and Always keep the firearm unloaded until ready to use). Also, we covered other gun safety rules (i.e., Know your target and what is beyond; and, Know how to use the gun safely). (Rule source: NRA). Today, we cover the additional Gun Safety Rule - Be Sure Your Gun is Safe to Operate. Your firearm is a mechanical device, and like other tools, requires regular maintenance, regular cleaning, lubrication, and proper storage. If you have any questions as to whether your firearm is able to function properly, you should have a knowledgeable gunsmith inspect it. Don’t play gunsmith. A good time to visually inspect your firearm is when you are cleaning it. During cleaning (firearm unloaded), and when the parts are free of dirt, residue and oil, this is a good time to look for cracks, burred or pitted areas, broken parts, and screws or pins that may have worked loose. In addition, check for grip screws that may be loose, buildup of firing residue, lint, sights that may have drifted or been bumped, and any other matters which may affect the proper and safe operation of your firearm. Also, when you pick up the firearm (unloaded) to practice at the range, or for dry-firing (in a designated safe area), you should give the firearm a cursory inspection. Develop the habit of making these inspections routinely. If you are relying on the firearm for personal defense, whether at home or while carrying it with your Concealed Weapon Permit, you need to know that the firearm is functioning properly, and can in fact be relied upon. Things to consider include: Do you have a firearm at home for defense? Do you have a firearm you carry with your Concealed Weapon Permit? When was the last time you inspected, cleaned and lubricated it? That firearm which you have safely stored at home for personal protection and which hasn’t been lubricated for a year or so, may not function properly. For example, your semi-auto has been stored for a period of time and hasn’t been lubricated. Imagine the scenario of having to use that firearm for defense of yourself and family only to find that the oil on the slide and frame area has dried, causing the firearm to jam when you needed it. Or, what about the last time you shot your revolver? Did you merely put it away without properly cleaning away the build up of carbon and residue in front of the cylinder? Imagine that such carbon / residue has now dried and hardened so much that when you need to use the firearm for defense, the cylinder won’t rotate, preventing the gun from firing when you need it. If you take the personal defense of yourself and family seriously, then you need to be serious about proper maintenance of your firearm. Your defensive firearm is a tool of last resort, but you need to know that when needed, it will function smoothly and properly. Another reality is that if you shoot a lot, you will find out that your firearm may not actually function all of the time. For example, firing pins do break. It even happens to revolvers. How many times have you heard someone say - "get a revolver, they always work"? Reality check - such is not true. Have you thought about what you would do if your defensive firearm (semi-auto or revolver) failed to function when you needed it to protect your life or the life of your family? This may be among one of the reasons why persons who carry a firearm with their Concealed Weapon Permit choose to carry two firearms on their person. In my Concealed Weapons Course, these type of "what if scenarios" are presented for discussion. After all, you should at least be aware of the issues. Once becoming aware, you can then learn and make an informed decision. Such position is better than an after the fact analysis of, "Gee I wish I had thought about that". In the next article, I will continue with more gun safety rules.